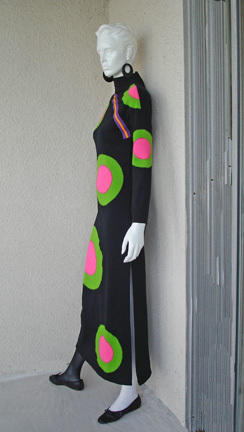 This is a late 1960's Rudi Gernreich "bulls-eye" dress featuring distinctive color and strong sense of graphics. 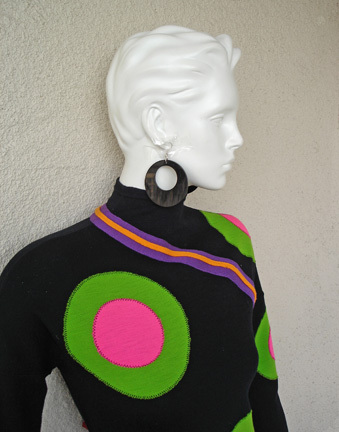 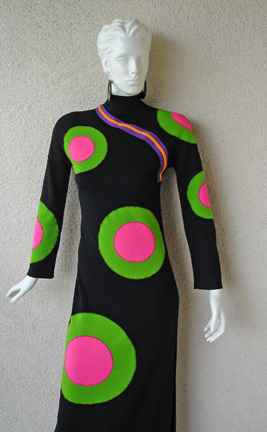 The long black wool knit dress is designed with randomly spaced large chartreuse and hot pink circle appliques. 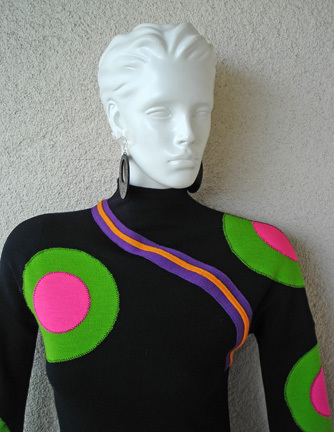 The bodice accented by decorative curved purple and diagonal band, giving it an Asian appeal. 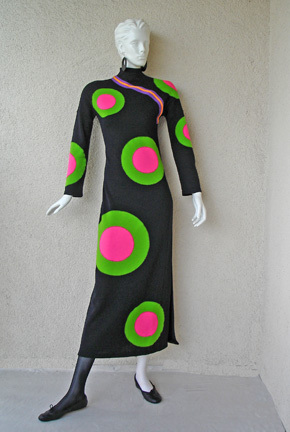 Long sleeves, round neckline and a side slit. 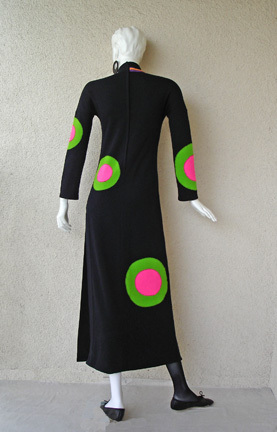 A highly recognizable and iconic Gernreich garment and an excellent example of 1960's fashion. 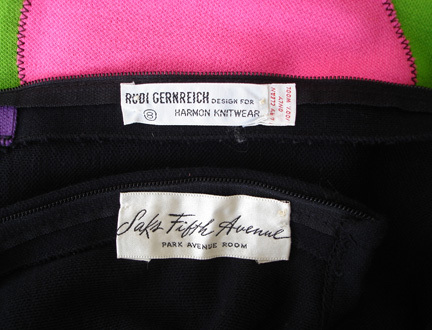 Size: 10; bust: 34"; waist: 30"; hips: 36"; length: 56"